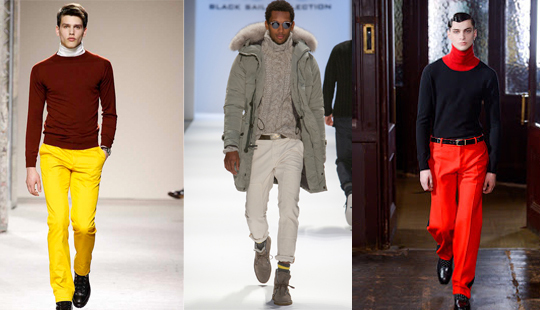 There are fewer articles, posts, shows that talk about men fashion compared to women fashion. Maybe that’s because even designers propose more new trends for females and men are shyer to dare for new trends. 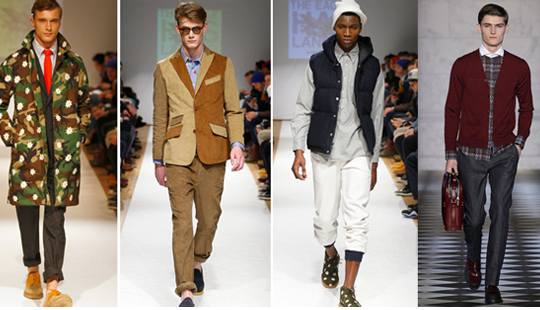 Anyway there are new ideas for men on every season, to be fashionable and in line with latest trends. There are no more only the classic colors black, grey, blue and white for men. Designers launch every season other hues, some not wearable but still interesting and attractive. Enrich your wardrobe adding some orange hues, used in coats, knits, gloves or other accessories. Play also with texture and printed to make a statement and create a unique style. Wearing orange outerwear can be a little difficult and you know you will be in center of others attention but if you don’t mind it, go on. They look good as a parka or bomber jacket for a casual or street style look. It’s easier to wear an orange top or knitwear. You can neutralize it with a blazer or outerwear, or maybe with jeans. Also remember that there are many hues of orange from neon to dark or bright shades. The darker ones are more appropriate for fall season and can be paired easily with the rest of outfit. Of course that incorporating some orange accessories is the easiest way to wear orange color. It’s true that they don’t make a huge impact but they make the style, the difference. 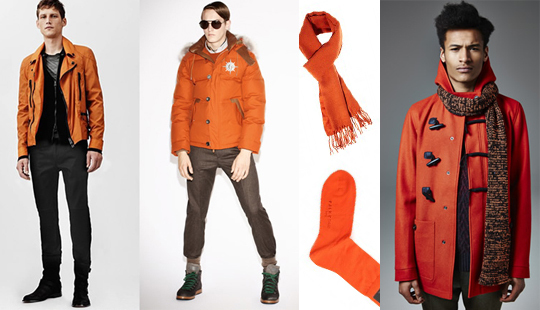 Orange scarves, watches, belts or socks are some choices if you want to add some color to your outfit. This color was proposed by Topman, E.Tautz, J.W.Anderson and Jonathan Saunders. Emerald is considered the color of the year by Pantone global authority on professional colors standards inspired by entertainment, tourism and fashion. Like orange, also emerald green it’s not easy to wear but this is not enough to quit wearing it. 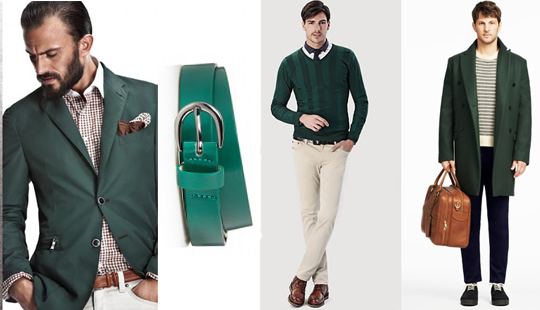 Just follow the rule: when wearing something emerald green, the rest of outfit should be neutral and simple. Emerald green trousers paired with a white striped top and brown suede loafers, are a trendy outfit and not exaggerated at all. 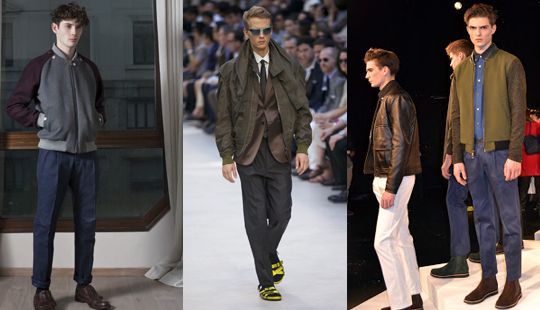 See some styles on Dsquared, Paul Smith or AMI FW2013 fashion shows. 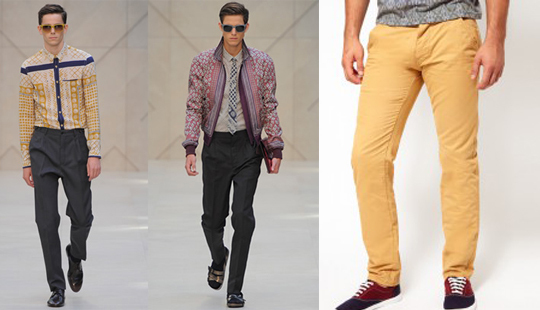 Among colored trousers, this season are also in vogue pleated trousers. Seen at Burberry Prorsum and Vivienne Westwood, pleated trousers are less preferred compared with slim-cut and flat fronted models. They are too voluminous and gives that sophisticated touch paired with knitwear, bomber or oversized jackets to break the idea of old fashion and outdated. The classic fitted and slim blazers or outerwear are replaced this season by voluminous outfit like bomber jackets. Black, grey, colored or even shiny are some of what we have seen at Oliver Spencer, Richard Nicoll, Astrid Andersen or Jonathan Saunders. Have you lately worn turtleneck knits except when you were little? I guess not, but this year they are back with wool or cashmere material, slim and luxurious models. Worn scrunched at the neck this trend was seen at E.Tautz, Alexander McQueen and Ermenegildo Zegna shows. Besides new trends wear what you feel comfortable in and confident. This is the most important thing to enjoy your day.